Product DescriptionIt's a Penny party! Who say's you only have to rock metallics for a special event? Everyday life should be a special event! Out Black Gold 22" metallic fade will be sure to turn heads when you cruise on over to your best friend's birthday party! Or cruise on it during an early sun..
Penny's 22" Complete Skateboard with White coloring is a simple, highly durable skateboard perfect for scooting around town. The uniform white coloring is offset with black wheels and screws for a unique, stylish aesthetic that will set you apart from other skaters. Even better, this board glows in ..
Long live the vibe. 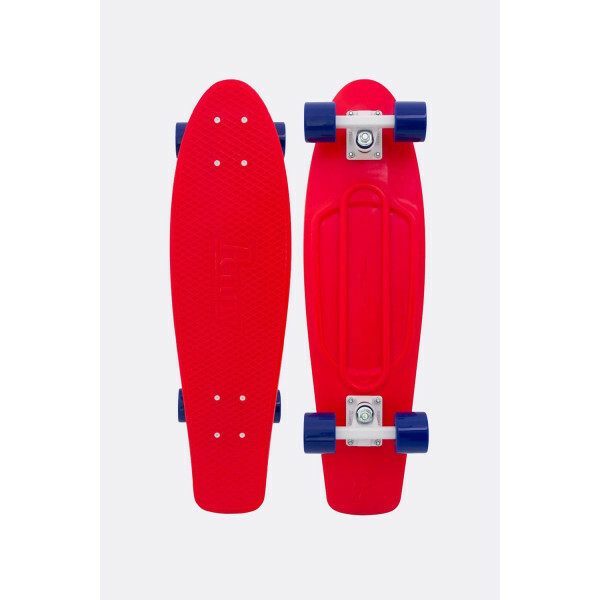 This 22" Penny Board will keep your vibe high during all of your #PennyAdventures. 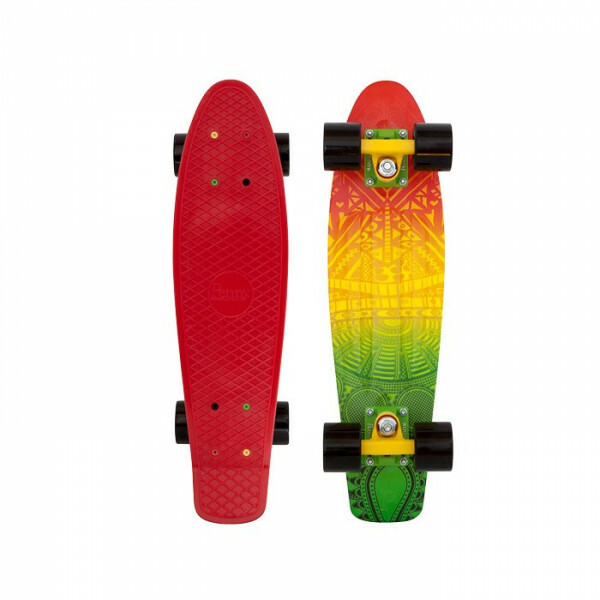 This tribal theme board equipped with rasta colors will leave you and your homies feeling the love. ..
For those looking for the ultimate cruiser skateboard or wanting a little more plastic under your feet to help with balance, the 27" nickel size is the one for you! Hop on the safari ride of your life with the 27" Safari Road Penny Board. This exotic board features the perfect mix of zebra and .. Bright, bold and fun as f..un can be! 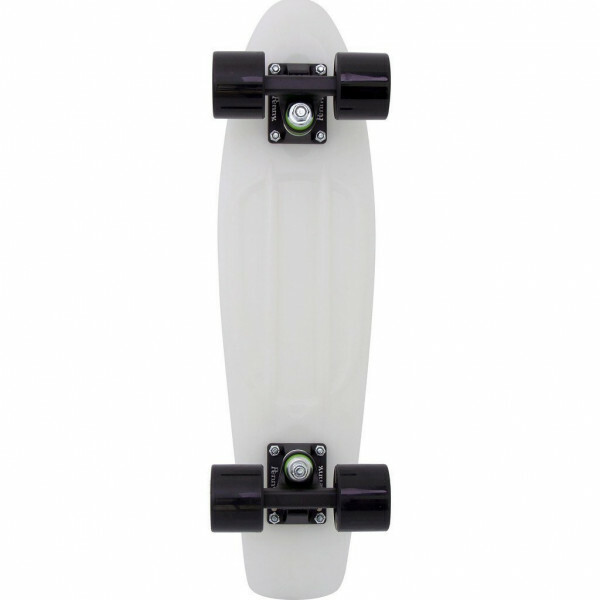 The Penny Thornberry 27" Complete Skateboard offers a smooth cruising style with a 27" plastic cruiser deck and high quality construction.27" plastic cruiserClassic waffle top non-slip deckQuality white Abec 7 stainless steel bearingsWhite high tensile bolts4 in.. 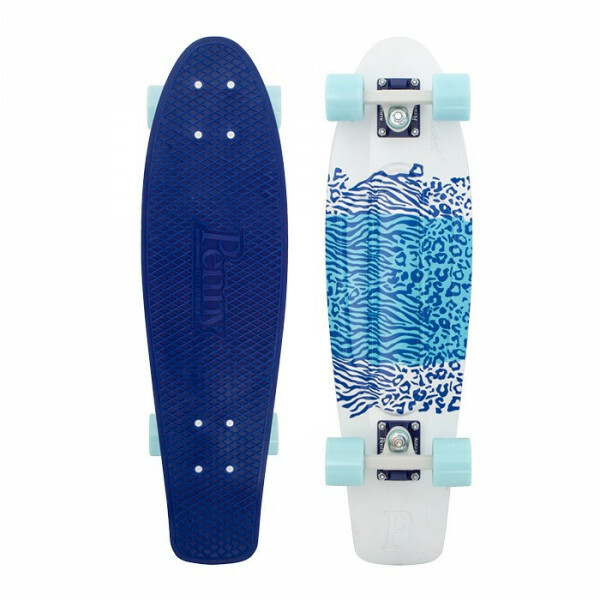 Looking for a Penny Board with a prettier composition? 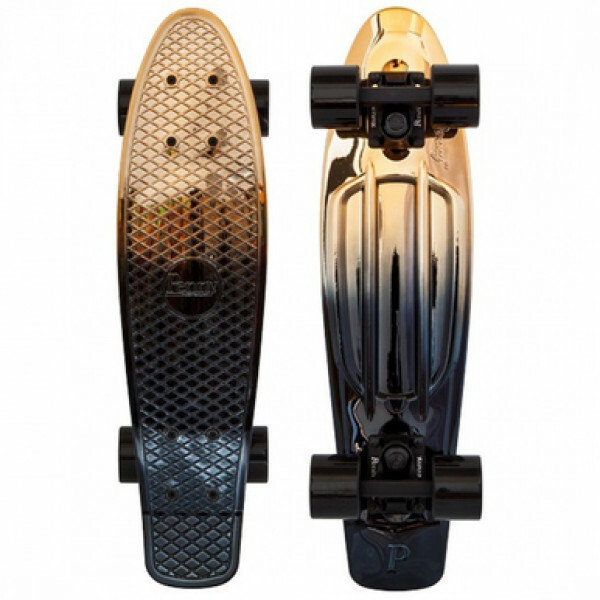 Look no further than our Tourmaline 27" Penny Board. 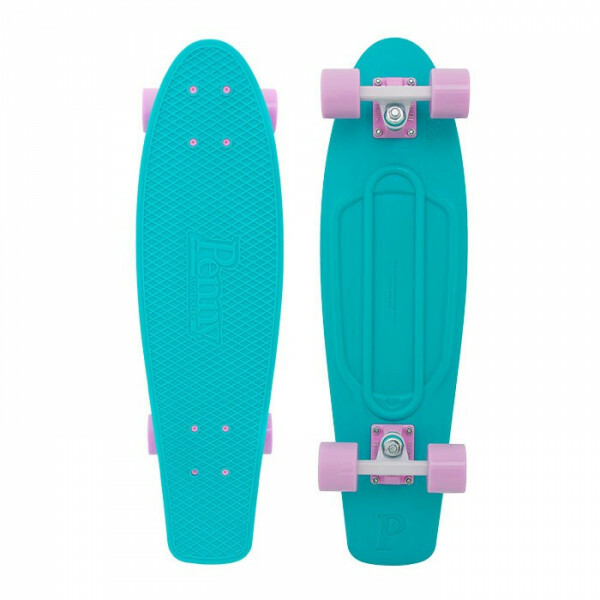 This classic Penny is perfect for our skater girls, with lighter shades and a girly edge with a burst of pink. We love our girl skaters who aren't afraid to grab a board and show the boys how ..